Well another week goes by and another new product has joined my ever growing collection. 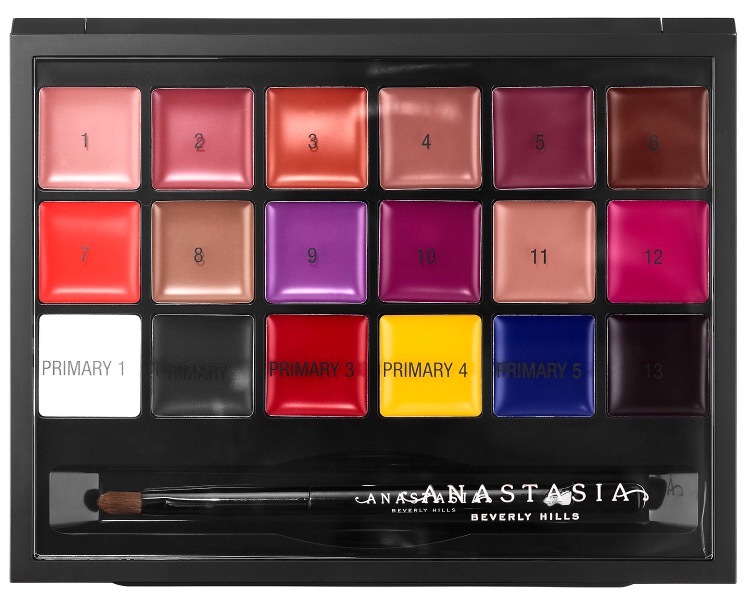 This time it is the Anastasia Beverly Hills lip palette. Now I know this is not a new product (Launch in early 2017) but it was always on my radar. So after a recent haul in Sephora I got a chance to see the product first hand and see what it is all about. I must say as soon as I saw it and spoke to the lovely Makeup artist I was hooked and it went straight in my basket. 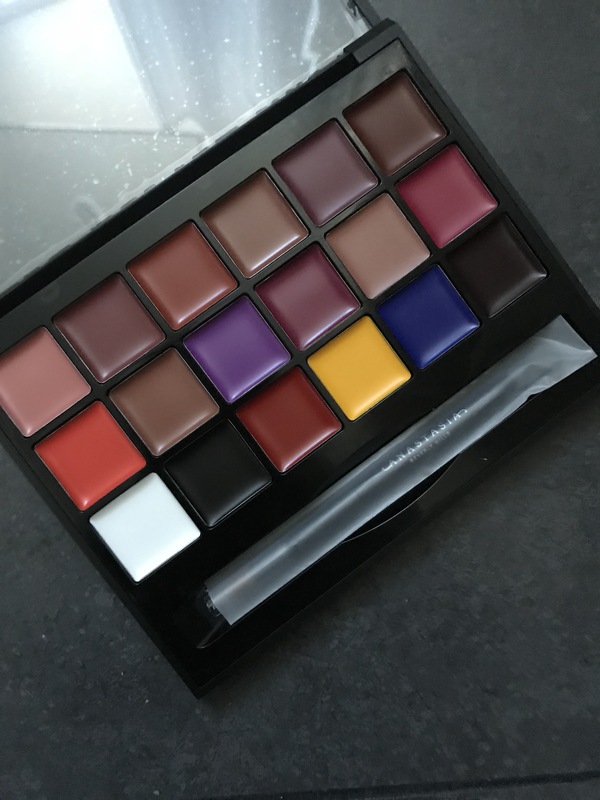 I am always on the look out for new an exciting products that are different to what you would normally see and this palette is a great one so you can create your custom shade which means you don’t have to buy a billion different lipsticks to find your match… You can just make it. So what do you get for your money. Well you get a palette consisting of 18 different shades ranging from primaries and neutrals to bold bright colours. You also get a mixing plate and double -ended lip brush and spatula. 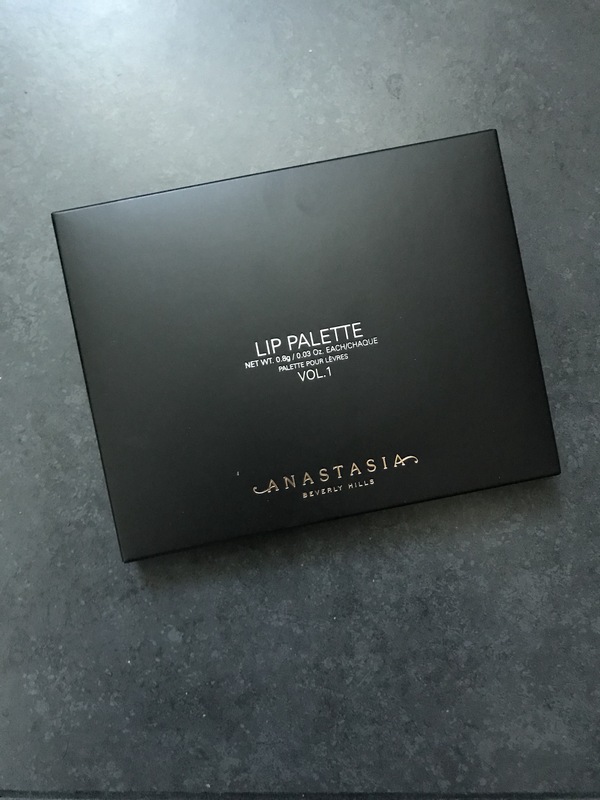 At £38 (www.anastasiabeverlyhills.co.uk) you are looking at around £2.11 per colour. So when you look at it that way you are really getting a great deal for endless colour options you can make. Obviously if you get a chance to visit a Sephora in Europe or further afield then with the exchange rates will make it cheaper to purchase but beware of ordering online from another country as you could get hit with hefty custom charges. When you see the primary colours you are a bit taken back first but after a little research it is good to know these few little tricks when putting together your colours. From the primaries White is good to add if you want to lighten a colour and Black to darken the colour. The Red is good to add warm up the shade colour. Yellow is the colour to use if you want to neutralise berry colours or to warm pink shades. Blue is the colour to use to cool or neutralise peachy coral lips. So after you have mastered the primary colours and what they are used for the world is your oyster. Below I have found some great colour combinations to start you off on your colour creations. After plenty of playing around with this palette you could probably guess I absolutely love it. It takes customisation to the next level and you can really create unique shades specific to you. I also need to say the pigment is fantastic and your colour does last. So I would definitely say this is a must in every makeup enthusiast collection.